North Carolina landlords renting residential properties with a fossil-fuel burning heater, appliance, or fireplace, or one that has an attached garage, must provide a carbon monoxide detector. If you or a family member has sustained carbon monoxide poisoning because of your landlord’s failure to provide such a carbon monoxide detector, contact the Raleigh civil litigation attorneys of Maginnis Law at 919.480.8526. You may also email our lawyers using the form on our contact page. There are two types of carbon monoxide poisoning and they are categorized by the length of your exposure: chronic poisoning and acute poisoning. 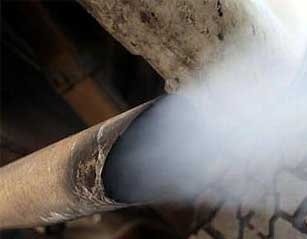 If you have had long-term exposure to low levels of carbon monoxide this is typically categorized as chronic poisoning. The symptoms of chronic carbon monoxide poisoning include: depression, memory loss, nausea, vomiting, and headaches. Acute carbon monoxide poisoning occurs when you have a shorter exposure time to higher levels of carbon monoxide. Common early symptoms of acute poisoning include fatigue, headache, and nausea. With longer exposure the symptoms become more severe, sometimes including heart problems, hallucinations, seizures, respiratory arrest, and, in the worst cases, death. Victims of acute poisoning may also sustain some delayed neurological problems such as memory loss, dementia, amnesia, speech difficulties, depression, and blindness. The results of carbon monoxide poisoning are severe. Therefore, if you have been poisoned as a result of your landlord’s neglect, it is important that you retain a knowledgeable personal injury attorney. The Raleigh civil litigation attorneys of Maginnis Law can assist you with recovering the compensation to which you are legally entitled, including amounts for: (1) medical expenses (2) lost wages (3) pain and suffering (4) permanent disability and (5) punitive damages (if applicable). To discuss your carbon monoxide poisoning claim, contact the Wake County personal injury attorneys of Maginnis Law, PLLC. Our law firm offers free consultations. We can provide an evaluation of your claim in person or over the phone. We represent personal injury claimants on a contingency basis. This means that you pay no attorneys’ fees unless you recovery financial compensation for your injuries. Maginnis Law represents personal injury claimants in Raleigh, Cary, Apex, Durham, Chapel Hill, Morrisville, Wake Forest, Clayton, Zebulon, Holly Springs, and the surrounding Triangle Area. You may call our civil litigation lawyers at 919.480.8526 and 919.526.0450.